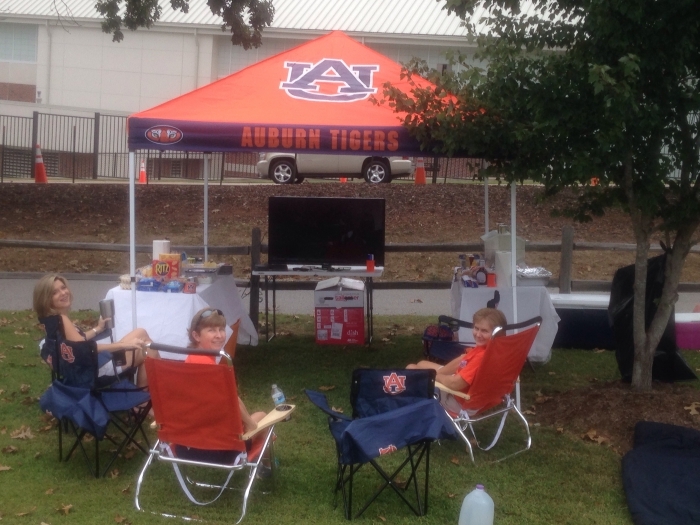 Every Tennessee Volunteers fan needs a tailgate tent canopy. 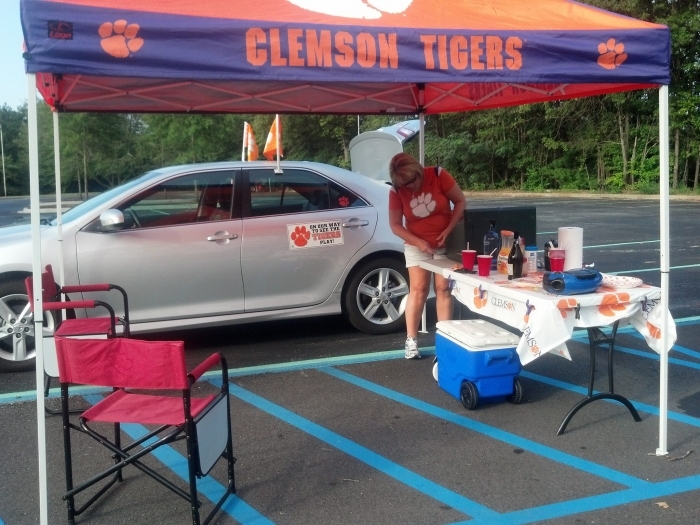 Don't be the only fans at a game in a sea of orange without a team canopy for you and your guests. 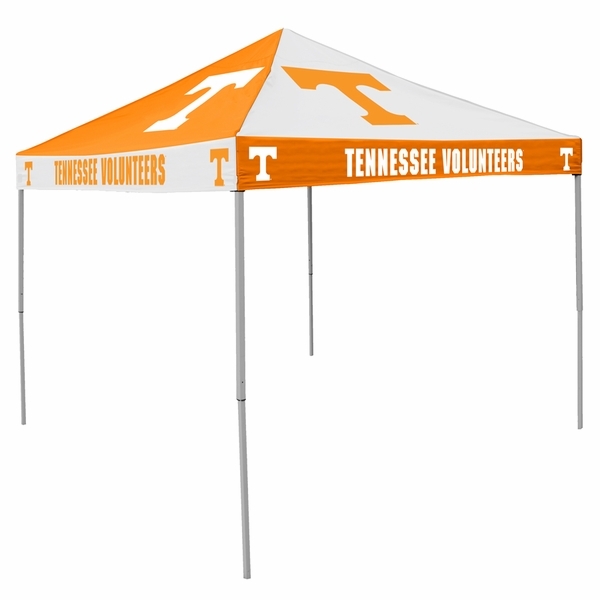 From a distance, guests will be able to see the bold bright T for Tennessee on all four sides of your canopy! Made of water-resistant 200 denier polyester, tent won't allow the weather to stop the party. 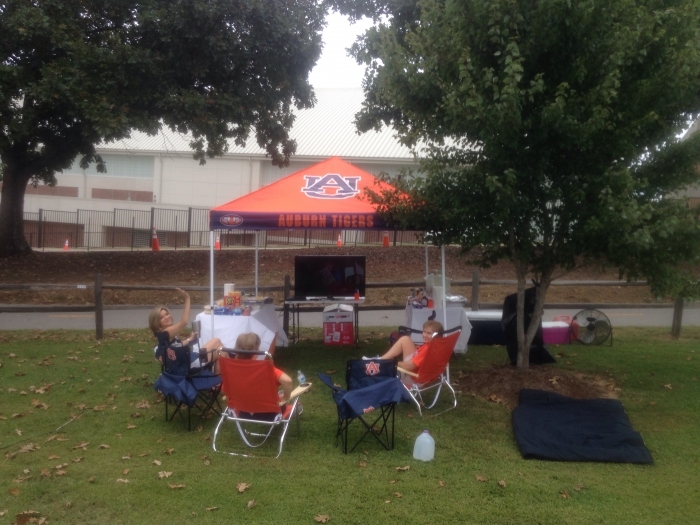 Easily set up by only two people, the canopy tent retracts to only 4 feet to make moving and storage a snap. Can I purchase the canopy separately? I have a frame, but my old canopy has ripped. We would be glad to assist you, but unfortunately, we do not have the replacement top you seek. We suggest you reach out to the manufacturer of the canopy you have so you can get the correct top to fit your frame. What's the total assembled height of this canopy? I'm considering using it over my hot tub which is under a 9' high deck. This pop up canopy will retract to only 4' in height.